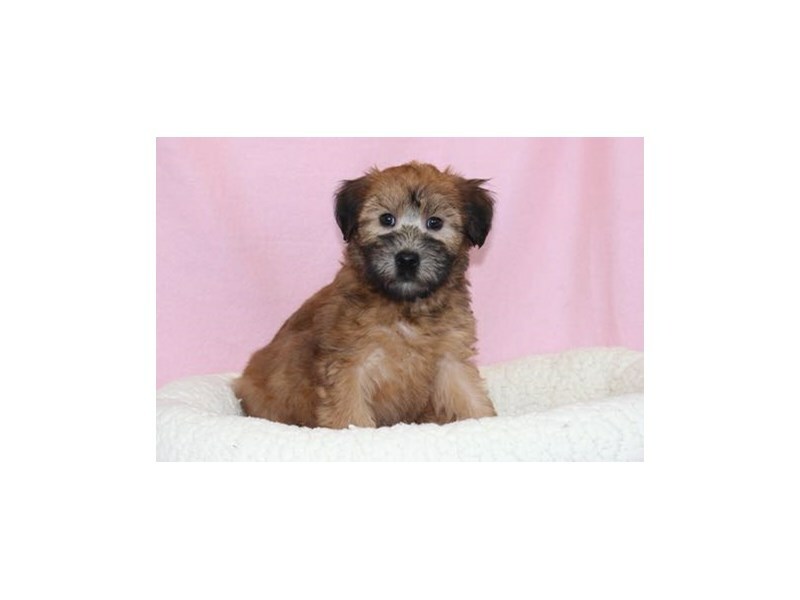 As its name implies, the Soft Coated Wheaten Terrier is prized for its coat, which is soft, silky, with a gentle wave, and of warm wheaten color. Underneath, however, is a formidable dog that leaves no doubt as to his terrier origins. Square and medium-sized, he is happy, steady, self-confident and alert to his surroundings. 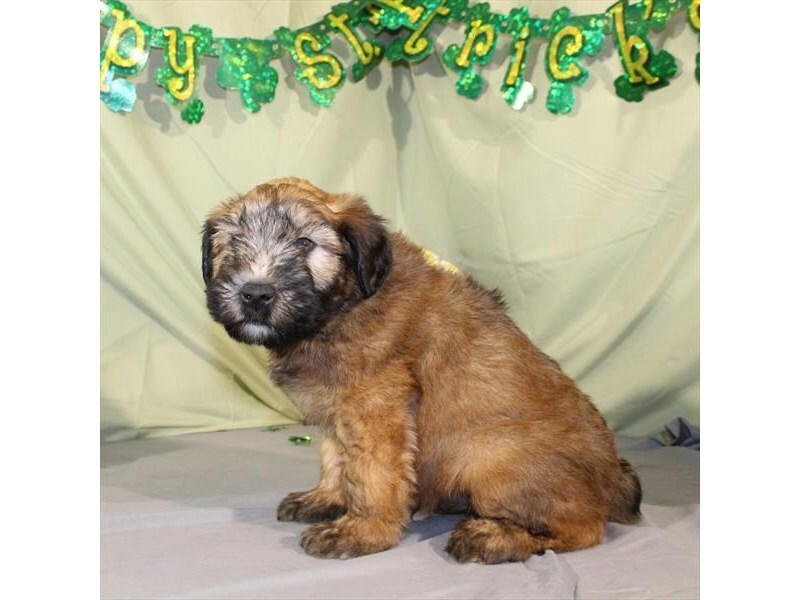 Known for more than 200 years in Ireland, the “Wheaten” shares common ancestry with the Kerry Blue and the Irish Terrier, but was not owned by the landed gentry. They were the poor mans dog, an all-purpose farm dog, given to patrolling the borders of small farms, ridding them of vermin, herding sheep and hunting with his master. 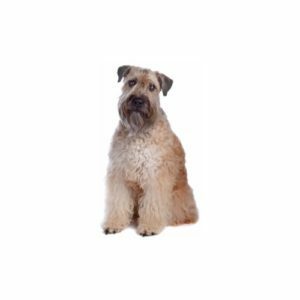 Wheatens tend to be less scrappy than other terriers but they are true terriers and will be more active than many other breeds, enjoying plenty of exercise every day. They relate well to children and can adapt to city, country, and suburban life. 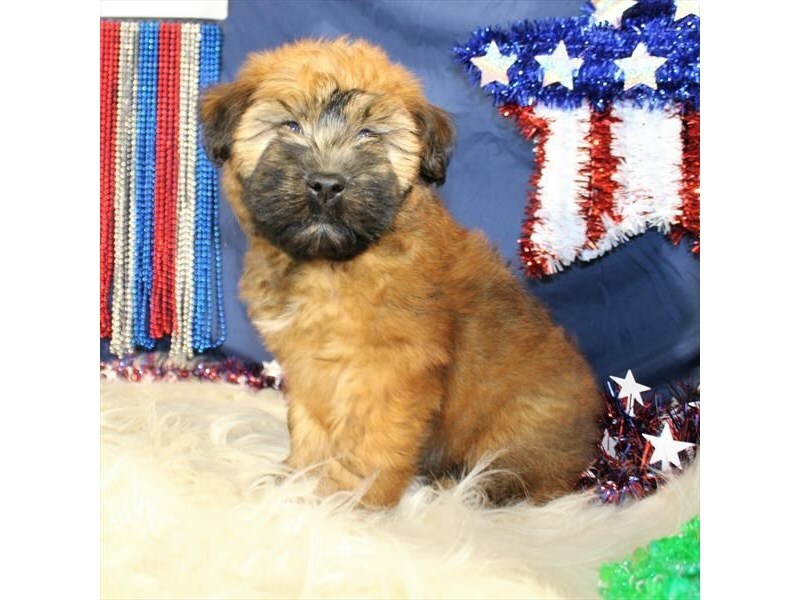 The Wheaten is single coated and sheds minimally, but needs regular grooming to keep its coat mat free. Terrier Group; AKC recognized in 1973. Ranging in size from 17 to 19 inches tall at the shoulder and weighing between 30 and 40 pounds. Small game hunter; farm dog. 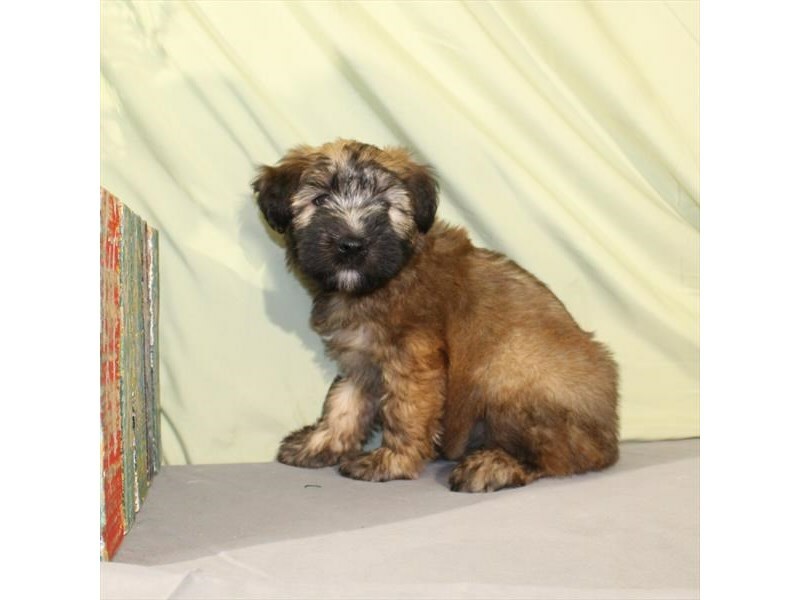 Are you interested in purchasing a Soft Coated Wheaten Terrier?